Called to make reservation no answer left message never got return call. Called back made reservation. When checking in got password for internet, tried to connect did not work called reservation desk no answer (who would of thought again ) left message explaining we could not connect with phone number, no return call tried again still no answer, third time finally got answer clerk told me to put tablet on air plane mode wait ten minutes try to connect still no luck. Can't believe I tell for that line. Tried calling back no answer again. I think you guys need to get your crap together. This park is about 10 years old, but very well maintained. Plenty of room between sites, so you're not Smelling Your Neighbors. WIFI is So, So! NO CABLE TV! We were able to get 6 channels on our HD Antenna! 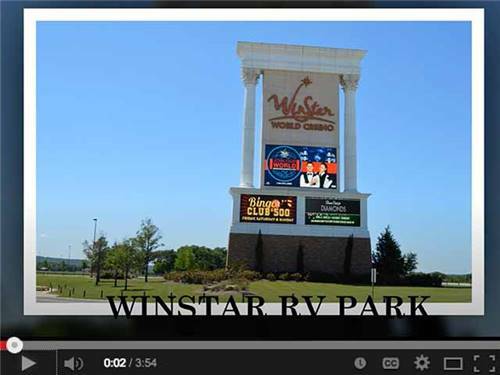 This park is associated with the WORLDS Largest Casino, WINSTAR. Plenty of Restaurants to choose from. However, Stay away from the Gambling and Slot Machines. Very Tight and you will not WIN! Combined with the EXCESSIVE SMOKE, you will come out smelling like an ash tray! Your first night is Free if you have never stayed here before, saving you about $40 bucks. This park is a good overnight place to stop and then move on, since the Casino is the only activity around the area. 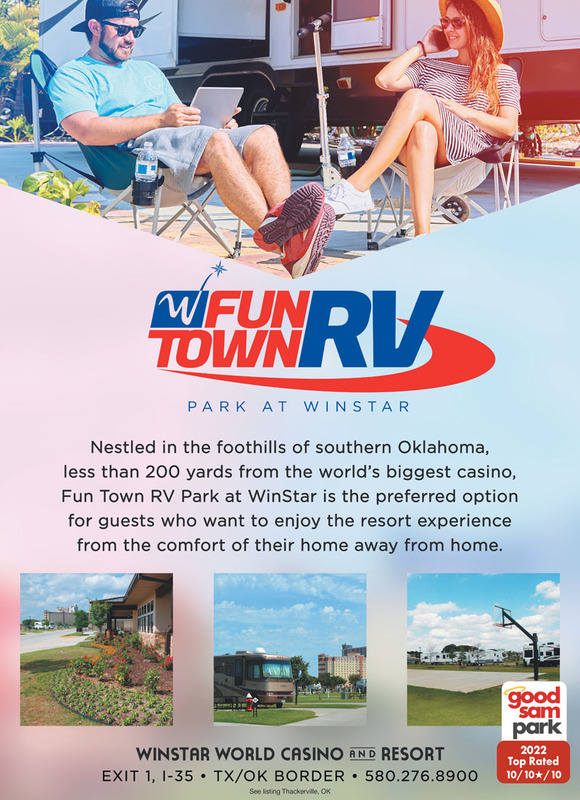 With the change over to Fun Town RV, they no longer honor free nights using your Winstar comp coupons for hotel rooms. No more coffee/hot chocolate, and shuttles have been cut back too. Beautiful park on casino grounds. All sites are concrete. Only complaint would be poor WIFI and lack of cable. This is a very nice facility, clean and well run. The only reason I gave it 4 stars is because they advertise they have Wi-Fi, but, I have been here 3 days and have not been able to access it one time!!!!!! ?? Good campground next to huge casino. Very crowded on weekends so make sure you have advance reservation. Biggest problem is lack of usable Wi-Fi. Staff blames it on weather, but lack of strength and non-use of repeaters actual problem. Furthest reaches of park the worst. This is a place that lives up to its rating. Great location and people. Shuttle to Casino and restaurants. Golf and Spa close by. What more could you ask for? We camp 40 to 45 weekends a year. This park is outstanding. The prices are very reasonable. Great people working there and 24 hour security. Cannot say enough good things about this park. We love it. . Very nice park with "either direction" pull-thru sites and back-ins. 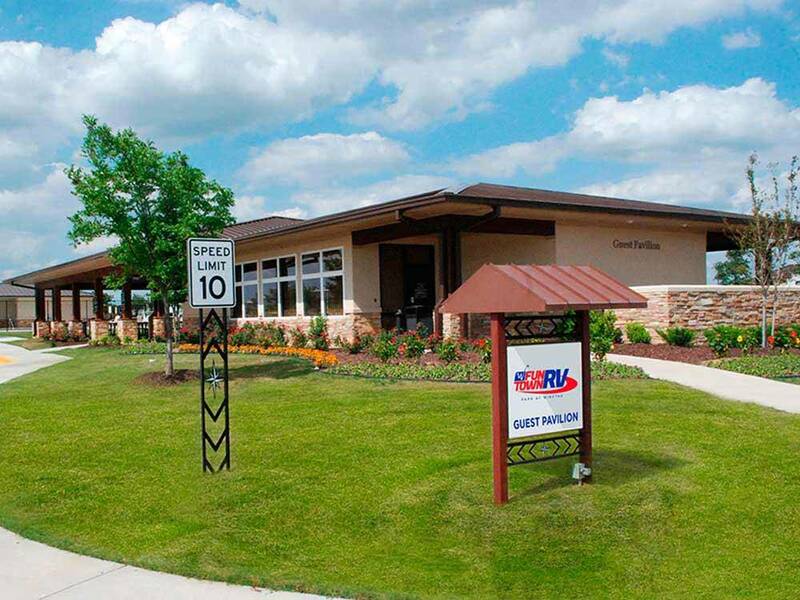 Restrooms, laundry, and recreation/pool area very clean and the employees are very nice. Our only complaints are that they advertise Wi-Fi but it rarely works and there is no cable TV.